The weather has certainly turned colder and Honeydale's bird enthusiast, Elliot, has been continuing with the supplementary winter bird feeding at a rate of 10kg a day, which seems to be very welcome amongst our feathered visitors. Elliot spent an hour watching the plots on Tuesday but didn’t observe any flocks feeding directly on the broadcast seed, although he did witness a solitary Roe deer which seemed very grateful for the fresh feed and feasted on it for a good half an hour until it was disturbed and scuttled off! Flocks of yellowhammer and finches were descending on the plot but they were feeding on the existing seed mix that we had planted and not on the broadcast seed. However, the situation had changed dramatically by the weekend, as the temperature dropped, when our bird expert, Dr Richard K Broughton, Ecologist & GIS Specialist at the Centre for Ecology & Hydrology, came to conduct his regular monthly survey. He sighted around 150 finches and bunting, and pleasingly one hundred and thirty of those were concentrated at the feeder/feeding strip. There were 60 yellowhammer, 50 chaffinch, 15 goldfinch, 5 linnet counted here. By contrast, the other sown birdfood/bumblebird plots were virtually empty, and all of the standing seed is now exhausted. So it’s fairly evident that now all the standing seed has been eaten, the birds have switched to the feeding area. This is very interesting, since the purpose of the supplementary winter bird feeding project is to determine the best way to provide food to support farmland birds during the winter hungry gap. We’re comparing the effectiveness of growing wild bird plant mixtures, compared to regularly distributing extra supplementary bird food. So far it seems that it is beneficial to birds to distribute supplementary bird food when all the standing seeds have gone, but the study is continuing until late spring so we will keep watching and waiting to see what happens. Elsewhere, Richard reported sighting a lot of thrushes on the fields (hundreds of mostly redwings, but also quite a few song thrushes and some fieldfares), and a flock of about 25 skylark. Interestingly some of the birds are being quite selective over which type of plots/strips they're using (e.g. skylarks are favouring the cereal stubble and song thrushes are showing a preference for sainfoin). 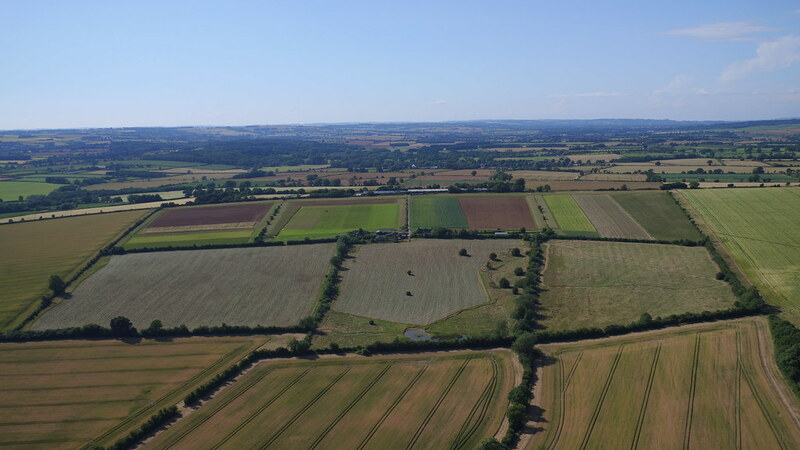 It’s always been part of our vision to have a farm as an extension of the Cotswold Seeds business and in 2013 we bought Honeydale Farm, one hundred acres in the Cotswolds. During the past couple of years we've been making huge progress on the farm and this blog was set up to share this progress with our friends in the farming world.